Dr. Leonor Arfuch is Professor at the University of Buenos Aires where she is Director of Research on Cultural Studies at the Gino Germani Research Institute. She works on questions of subjectivity, identities, memory, and narrative in the fields of literature, arts, and the media, taking a multidisciplinary approach that combines discourse analysis, literary critique, semiotics, and aesthetics. She is also the author of several books, including: La entrevista, una invención dialógica (1995, 2nd edition 2010); Diseño y Comunicación. Teorías y enfoques críticos (Co-Author), 1997); El espacio biográfico. Dilemas de la subjetividad contemporánea (2002); Crítica cultural entre política y poética (2008); andMemoria y autobiografía. Exploraciones en los límites (2013). As an editor, she has participated in the compilation of the following collective volumes: Identidades, sujetos y subjetividades (2002); Pensar este tiempo. Espacios, afectos, pertenencias (2005); with G. Catanzaro Pretérito Imperfecto. Lecturas críticas del acontecer (2008); with V. Devalle, Visualidades sin fin. Imagen y diseño en la sociedad global (2009). 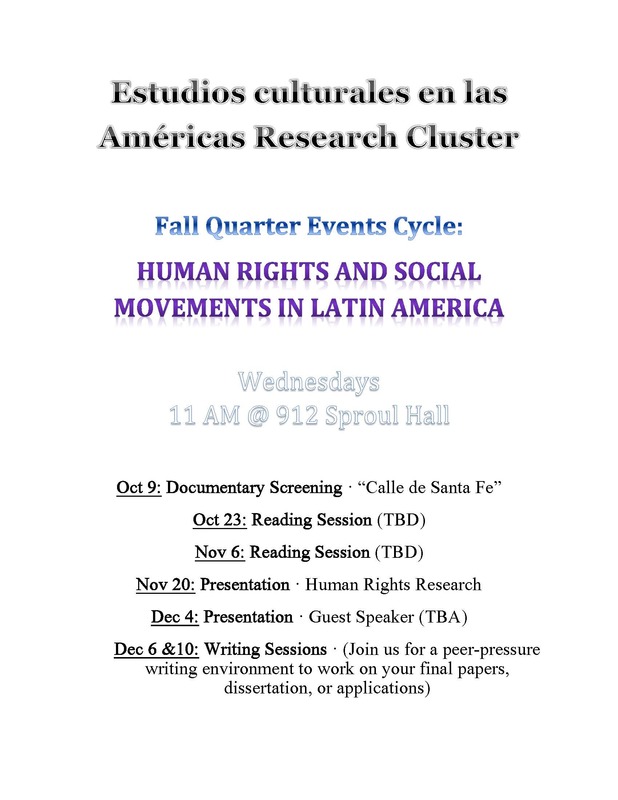 This event is generously co-sponsored by the Department of Spanish & Portuguese, The Hemispheric Institute of the Americas, the Graduate Group in Cultural Studies, and the Human Rights Initiative. Jan. 23: Reading Session · Herencias coloniales y teorías poscoloniales. Jan. 30: Reading Session · Espacios geográficos y localizaciones epistemológicas. Feb. 13: Presentation· Conversaciones con estudiantes graduados. Feb. 27: Presentation· Conversaciones con los latinoamericanistas Robert Irwin y Michael Lazzara. Clare Hasler, Executive Director, Robert Mondavi Institute, UC Davis, will comment on the importance of research and outreach across the sciences and humanities/social sciences for food studies and how the RMI has fostered interdisciplinary projects. Steve Sando, owner of Rancho Gordo: New World Specialty Food, culinary consultant and author of Heirloom Beans, will discuss “Redefining the New American Kitchen: Bringing Latin American Heirloom Ingredients to the Modern Table”. Leopoldo López Gil, a founding member of the Slow Food Movement in Venezuela and President of the Academia Venezolana de Gastronomía, with his daughter Adriana López Vermut owns the Pica Pica Maize Kitchen restaurants located in Napa and San Francisco. Señor López will talk about the “new modern Latin cuisine” and the ingredients and culinary traditions that encourage chefs and serious home cooks to experiment and create new fusion dishes. An exhibit titled “Nuevo Latino Cuisine: Culinary Artistry, Community and Conversation” accompanies the convivium. Professor Ana Patricia Rodriguez, from the University of Maryland, College Park, will be visiting UC Davis. She is a Latino/a Studies and Central-americanist scholar. Click here for the flyer. 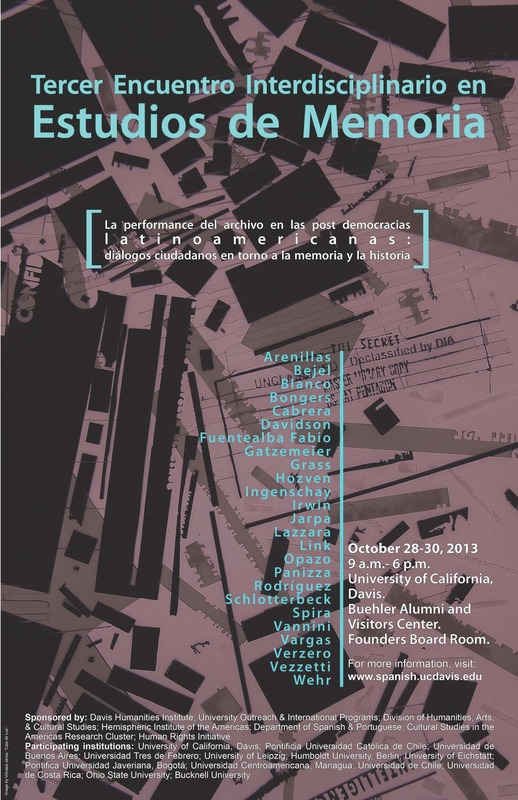 Her talk is titled “Los 30”: Documenting Thirty Years of the Salvadoran Diaspora, 1980-2010. This event is sponsored by the Estudios Culturales en las Americas Research Super Cluster, The Davis Humanities Institute, and the Hemispheric Institute of the Americas. Please join us for a lunchtime discussion with Salvador Schavelzon, who is visiting Davis from Brazil. Salvador works on Latin American cosmopolitics, Indigenous Autonomy and Anthropology of the State. He is writing his PhD thesis in Anthropology on the political process in Bolivia, based on ethnographic research about the Constitutional Assembly and the foundation of the Plurinational State. He graduated from University of Buenos Aires; and is doctorate candidate at Federal University of Rio de Janeiro where he also did his master with a dissertation about the State in Argentina. The Estudios Culturales en las Américas Research Cluster invites you to join us for our Spring 2010 Brown Bag series. Our new Brown Bag Series is intended to foster dialogue among students and faculty and to help our graduate students obtain peer feedback on their work. We hope you will join us! Latino cuisine, like other forms of ethnic food marketed via cookbooks and ethnic restaurants, serves up “heritage” and “tradition” for consumption. In this context, food becomes a way of transmitting culture and of spicing up daily meals while transforming the definition of “American”. Ethnic cuisines also act as a site where ethnoracial and national anxieties are mediated and worked out. At what point is Mexican food no longer foreign? Is it ever “American”? How do these imaginations imbue latinidad with pleasure/carnality/excess and simultaneously strip these from whiteness? What are the consequences of whiteness being posited as lack? By discussing Mexican and Nuevo Latino cuisine specifically, I ask how “heritage” is put to work, both by food-seekers as well as by the Latin@s this cuisine supposedly represents? What can the tensions between Nuevo Latino Cuisine and “traditional” Latin American cooking reveal about the relationships between tradition and modernity, authenticity and ethnic legitimacy? How are cultural anxieties about the role of Latinos in the American imaginary negotiated through foodways? I will be discussing my dissertation research which examines how alternative collectively-run presses are producing and circulating books about current politics in Latin America. In the context of the unprecedented political transformations currently shaping the region, often referred to as the “turn to the left,” I examine their organization and publishing practices to understand how they contribute to the formation of a transnational intellectual-political network that extends across the continent. For this multi-sited ethnography, I will be doing research from Sept 2010-Aug 2011 in Mexico City, La Paz, Bogotá, and Buenos Aires. Through a detailed study of texts that have been written by many renowned salvadoran literati (Francisco Gavidia, Salarrué, Manlio Argueta, among others) and produced between the late 19th and late 20th century, her dissertation reflects upon the strategic use of popular myths in literature, often derived from the indigenous tradition of the region, a critical trait in the development not just of the national literary tradition but also in the nation’s identity. Her discussion this time will focus on preliminary readings or “apuntes” on two of Francisco Gavidia’s texts: “La loba”, a short story from 1875 and Historia Moderna de El Salvador, a history book from 1917). Comments Off on Spring Brown Bag Series! 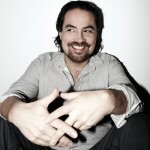 Will include screening of Alex Rivera’s earlier digital media art works and open discussion.